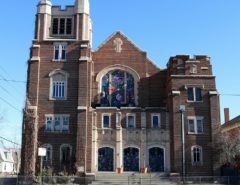 This article is Part I in a three part series. Click here for Part II and Part III. The reactions to the death last month of Rabbi Zalman Schachter-Shalomi may be a sign that the conversation about psychedelic drugs and American religion is moving into a new stage. On July 8th that “Old Grey Lady,” the New York Times, published a long and very respectful obituary of Schachter. For this Times reader of the Sixties generation, it was quite surprising that the Times, with its long-history of disdain for the counterculture in general and counterculture religion in particular, would honor a religious innovator whose inspiration was so clearly psychedelic. 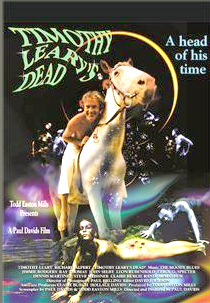 Movie poster designed for Paul Davids by artist Mark Hanau. Available under the Creative Commons Attribution-ShareAlike 3.0 License. 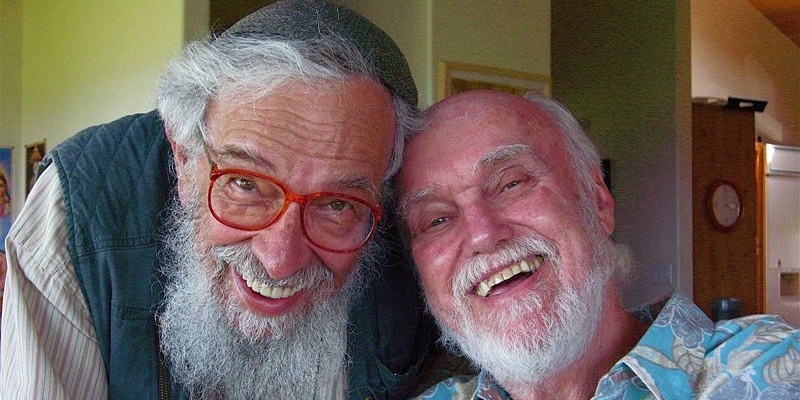 What made Zalman Schachter unusual among the other figures that the Times groups him with, Leary, Alpert/Ram Dass and Thomas Merton, is that Rabbi Zalman was unapologetic about his LSD use and referred to it often in his many books, articles, and interviews. In terms of the relationship between hallucinogens and religious experience, rather than lump all of these “spiritual seekers” together as the Times obituary did, I would make some important distinctions. I know my friend Zalman Schachter is quite enthusiastic about psychedelics. I of course cannot judge, never having had anything to do with them. However my impression is that they are probably not all they are cracked up to be. Theologically I suspect that the trouble with psychedelics is that we want to have interior experiences entirely on our own terms. This introduces an element of constraint and makes the freedom of pure grace impossible. Hence, religiously, I would say their value was pretty low. However, regarded merely psychologically, I am sure they have considerable interest. And it was as psychologists that Timothy Leary and Richard Alpert first experimented with LSD, which had been developed in a Swiss laboratory in the early 1940s. Long before Leary and Alpert were at Harvard, they had turned away from their respective Catholic and Jewish family traditions. Leary, the perpetual gadfly and provocateur, had little use for any form of organized religion, but Alpert, to the dismay of many of his colleagues in psychology, turned eastward, to India. Unsatisfied by that research, Alpert then traveled to India where he met a man, Neem Karoli Baba, who would become his Hindu guru. Alpert stayed on to study Hinduism with this master, was renamed Ram Dass, and subsequently came back to the States to spread word of new techniques for spiritual practice based on yoga and meditation. But Alpert/Ram Dass, once he had moved on to Hindu practices and then published the immensely popular book Be Here Now, did not often refer to his LSD use. In that way, he was like the Western Buddhist teachers of the sixties and seventies (many of whom were Ram Dass’ friends and colleagues) for whom the mention of earlier use of psychotropic drugs was considered a liability. And the histories, both academic and popular, of Buddhism in America, are also reticent about mentioning drug use, often burying its mention in the back of the book. 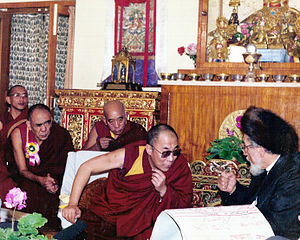 “The XIV Dalai Lama and Rabbi Zalman Schachter-Shalomi during the historic Jewish-Buddhist dialogue in Dharamsala, India, October 25, 1990” Photo by Rodger Kamenetz. Available via Creative Commons Attribution-Share Alike 3.0 Unported license. When Rabbi Zalman “came out” about his use of LSD, he did so in his usual provocative fashion. In 1966, he mentioned it in an article in Commentary Magazine (which even in the mid-sixties was quite conservative, although not as conservative as it would become in the eighties and nineties when it moved to the right of Ronald Reagan). The most serious challenges to Judaism posed by modern thought and experience are to me game theory and psychedelic experience. Once I realize the game structure of my commitments, once I see how all my theologizing is just an elaborate death struggle between my soul and the God within her, or when I can undergo the deepest cosmic experience via some minuscule quantity of organic alkaloids or LSD, then the whole validity of my ontological assertions is in doubt. But game theory works the other way too. God too is playing a game of hide-and-seek with himself and me. The psychedelic experience can be not only a challenge, but also a support of my faith. After seeing what really happens at the point where all is one and where God-immanent surprises God-transcendent and they merge in cosmic laughter, I can also see Judaism in a new and amazing light. From today’s vantage point, the other responses to Commentary‘s colloquium are dry as dust. Rabbi Schachter’s comment is virtually the only one that still speaks to young people. In the year of his coming out about his use of hallucinogens, 1966, Schachter gave a lecture to Rabbis and Jewish educators on LSD and the ideas of the Baal Shem Tov, the founder of Hasidim. 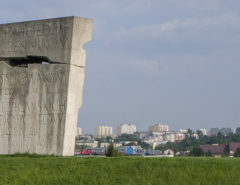 His innovations have influenced virtually all of the Jewish denominations. 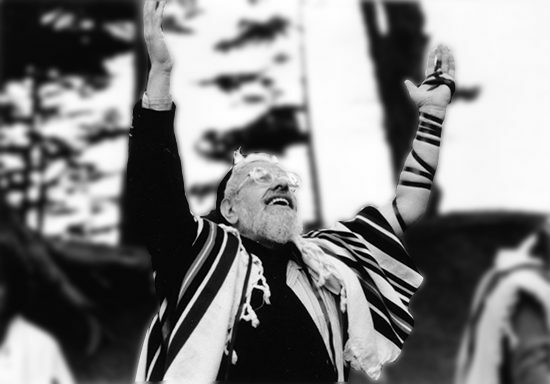 His influences include the rabbinic ordination of women, full participation of women in prayer, creating the “rainbow tallit” that one sees at many Conservative and Reform synagogues, a full acceptance of gay and lesbian lifestyles (both for the laity and clergy), a renewal of interest in ecstatic practices, and incorporating meditation techniques in Jewish ritual practices. 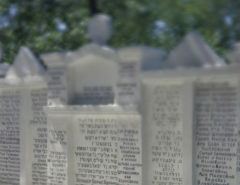 These innovations resonated with American Jews in unexpected ways and to an unforeseen degree. Schachter’s Jewish Renewal still remains small in comparison to the larger Jewish denominations, but its influence it wide. And many of those influenced would be quite surprised to read that in a way, it started with LSD. But Schachter seemed to have no anxiety about such reactions. A half-century after his first acid trip, Schachter asked writer Sara Davidson (author of Loose Change: Three Women of the Sixties) to collaborate with him on The December Project—a book that would sum up of his life and work. 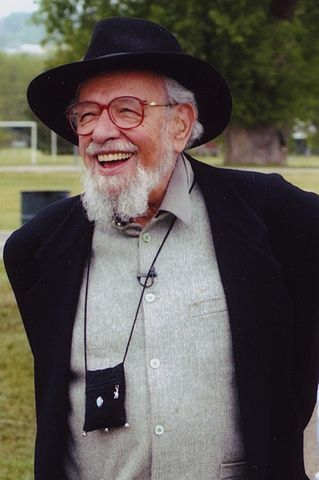 “Reb Zalman in 2005 in Denver, Colorado.” Photo by Edis Jurcys, 2005, courtesy of Spectrum: A Journal of Renewal Spirituality, www.rzlp.org. “Removing the frame” through the ingestion of hallucinogens was of course, not a new idea cooked up in the sixties. Ecstatic practices, including drug use, are part of the history of culture and religion. Some religious teachers have sanctioned such practices, others have warned their followers against them. And yet others have been ambivalent about such aids to insight. My colleague Lila Porterfield reminded me that an insightful evocation of these responses may be found in Carlos Castenada’s Tales of Power. And he used his transformation to transform many others, including some Rabbis.